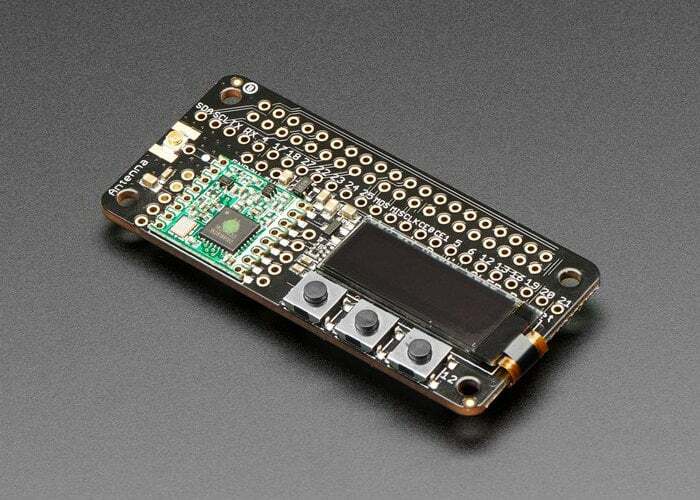 Adafruit has announced the availability of its new LoRa Radio Bonnet with OLED enabling you to add more radio options with the range of Adafruit Radio Bonnets. Adding LoRa / LoRaWAN radio Allows your project to communicate over very long distances and support direct connections to the Raspberry Pi mini PC. Enabling you to enjoy long-range wireless connectivity to battery-powered remote nodes build Internet gateways. – ~100mA peak during +20dBm transmit, ~30mA during active radio listening.